Previously, we started a tour through Europe that followed the introduction of an item called a "glass drop," "Prince Rupert's drop" or "Dutch tear." Today we will explore the attempt of an enlightenment philosopher to explain the phenomenon. First, take a look at the dramatic video (above) of an actual glass drop exploding in slow motion. 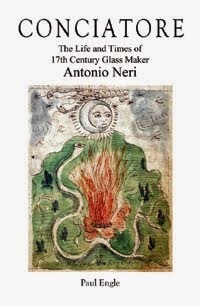 In the late seventeenth century, the demonstration of glass drops was sweeping through the parlors of Europe. Consisting of nothing more than palm sized piece of glass with a bulbous nose and a tail that tapered to a point, this little item became a topic of fascination for intellectuals and experimenters alike. 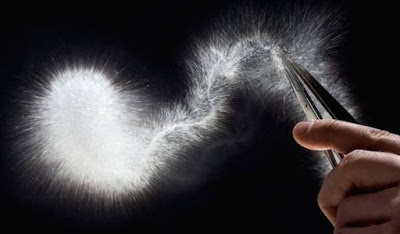 Formed by simply letting a gob of glass drip into a bucket of cold water, the fat end could endure strong blows with a hammer, yet snap off the slender tail and the whole piece would erupt into a hail of glass dust and fragments. Robert Hooke conducted a series of experiments, and observed the results carefully under a microscope. He arrived at conclusions that were largely correct even though the very nature of matter was still under debate. The molten glass on the surface of the drop cooled rapidly, shrunk, and compressed the interior. The result was a highly stressed surface that resisted the hammer. Snapping the tail caused a shock wave of cracks to propagate through the drop, releasing the tension, shattering the entire object into fragments no larger than a grain of sand. Because the main drop A comes first to the water, it is therefore first quenched, and consequently the motion of the parts of that drop, which by the fire were made to be moved in a larger compass, is by the water made to shrink into lesser circles towards the other end B, but with the same or not much less swiftness. Seeing also this motion in every small part of the glass, is not only circular, but proceeds also all along the glass from A to B, the whole motion compounded will be such as the motion of spinning any soft matter into thread, and will dispose the whole body of the glass in threads, which in other hard bodies are called the grain. By the breaking of the glass at C, [the threads] be all at once set at liberty; and then all at once being suddenly unbent, like so many brittle and overbent bows, their strings breaking, be shivered in pieces. 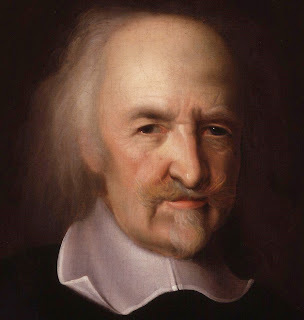 A somewhat tortured connection could be made between Hobbes' theory of internal motion and molecular kinetics, but it is a stretch. The truth of the matter is that his explanation of the glass drop demonstration is elegant and unfortunately, it is also wrong. How did Robert Hooke arrive at a correct conclusion while Hobbes and many others failed? It is a good question because it gets to heart of how successful science is done. 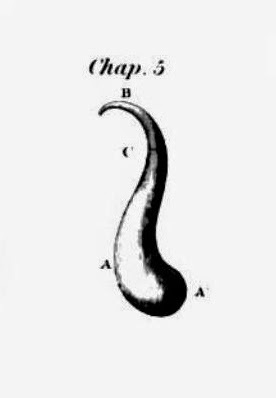 Part of the answer lay in Hooke's careful experimentation and detailed observations; he tests his theories wherever he can, and extends his senses with instruments like the microscope. Hobbes develops a series of analogies, but he never devises experiments to test them. To be fair, both men end with conclusions that go beyond what could be observed or measured at the time, and in that realm either one of them could have stumbled. In the end, a correct theory can only be one that does not contradict what actually happens in nature. Niccolò Angelo Tinassi , ed., Il Giornale de Letterati: per tutto l'anno 1672 (Rome : Nicolò Angelo Tinassi, 1672), p. 95. Thomas Hobbes, Problematica Physica, 1662 (translated in English in 1682 as Seven Philosophical Problems) pp. 36-39, 146-148. For an interesting rhyme about glass drops recited by Benjamin Franklin see Engle, "Benjamin Franklin and his Gathering of Glassmakers" in Bulletin of the National American Glass Club, Spring/Summer 2016. * This is an updated version of a post that first appeared on Conciatore Blog, on 7 January 2015.